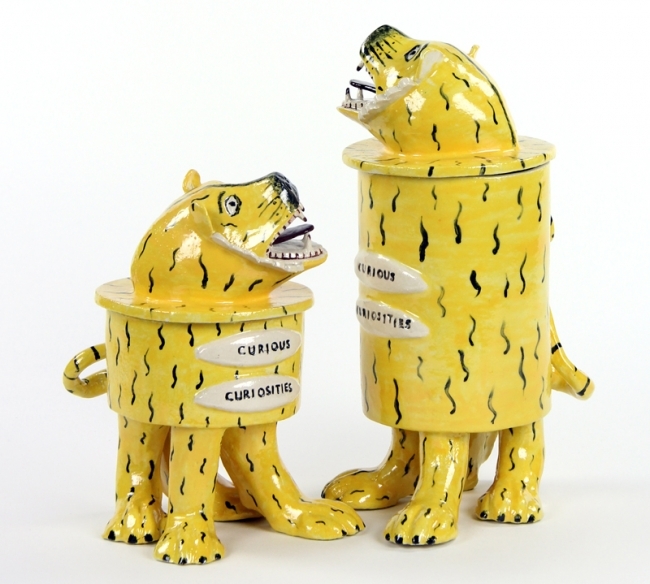 Storage jars inspired by nineteenth century Staffordshire Pottery. 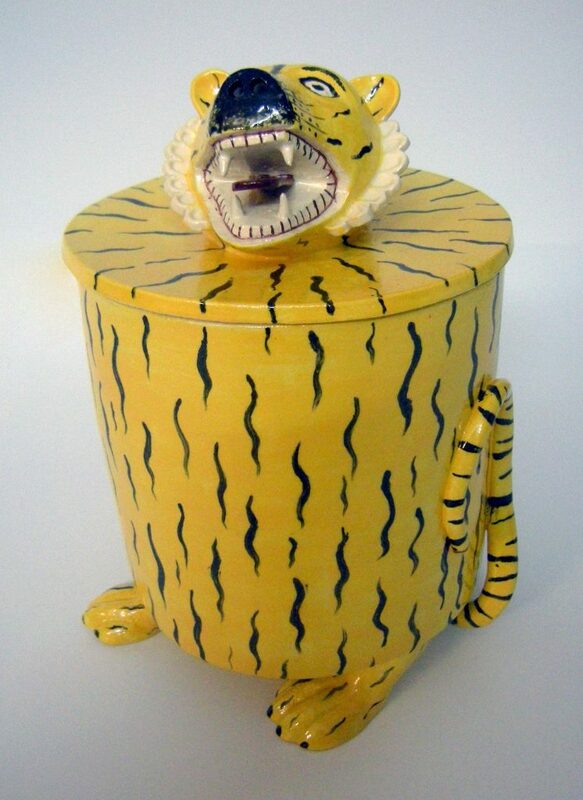 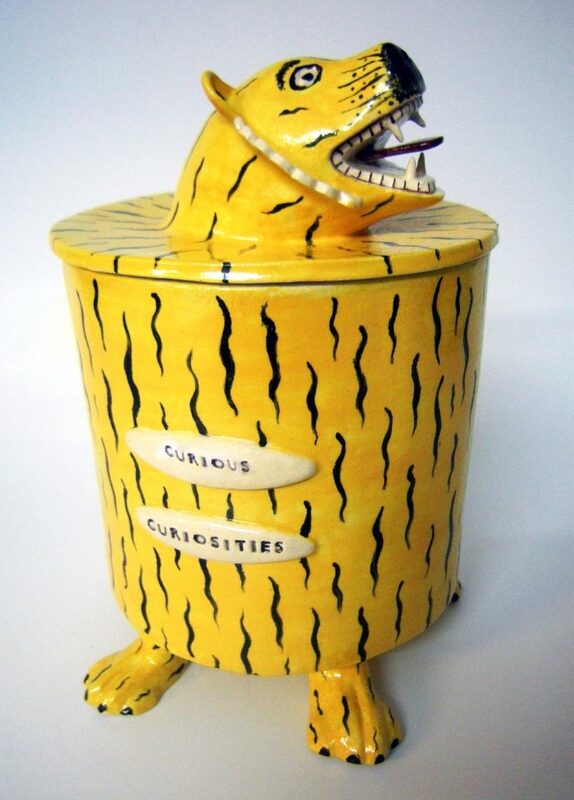 This series of Tiger jars are a safe haven for all manner of strange little curios and curiosities. 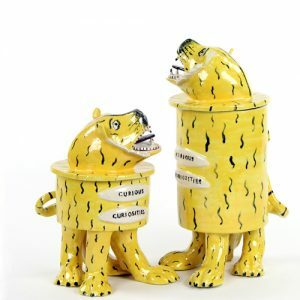 They are made from earthenware clay, glazed with a transparent lead glaze and then hand painted with on-glaze enamels – in the traditional Staffordshire way.